It was definitely a war with my label and my management because I was handing in songs, and I did the doo-wop. I was like, "Yeah, I killed it, I took it to a new level of funk!" They would say, "That's exactly what everybody's expecting, Meghan. 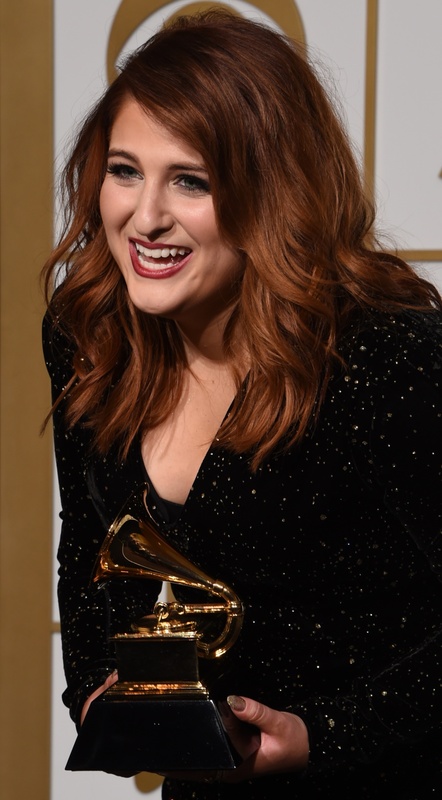 Hit us with your songwriting skills, hit us with something no one would expect Meghan Trainor to do. And that's exactly what she did. The way I see it, "NO" came along at a crucial time in Trainor's career: having earned three top 10 singles in less than two years, she'd successfully avoided the dreaded label of "one-hit wonder," but was she dangerously close to being known as a "one-trick pony." After all, Trainor's two biggest singles after "All About That Bass" — "Lips Are Movin'" and "Dear Future Husband" — are both punchy, '60s throwback affairs. And, let's face it, after dominating the airwaves for over a year and a half, she was approaching overexposure, as well. Fortunately, Trainor (and Epic and her management team) knew just how to handle the situation. By releasing a killer, expectation-defying jam like "NO," not only has she squashed criticism of her supposedly limited skills, she's also helped stave off the inevitable onset of M-Train fatigue. (It's going to creep in sooner or later, but I think she just bought herself some extra time.) Oh, and stepping out of her comfort zone is critically important for Trainor's continued artistic growth! No matter how you look at it, "NO" is a major win. ... I’m very good at writing the retro stuff, so I always want to keep that with me, and on this new album you will hear that on the deluxe version. But I know that I’m capable of doing more. I know it's tricky to put out an album that may sound different, like how Bruno Mars tried to do all these different genres and got called out for that. I thought that was crazy. I thought, if anything, let's praise him for being so talented that he can pull off these different genres. He's one of the only ones getting away with it. So that's what I want to try to do, to be the female version who's going to do all these genres — but successfully do them all. According to "NO" producer Ricky Reed, the rest of Trainor's forthcoming LP is also quite different from her past work. During a recent interview with Popdust, Reed, who served as Thank You's the executive producer, revealed that the album was influenced by a bunch of diverse genres, like gospel, funk, country, and Caribbean soca music. After hearing "NO," I can't wait to find out what other surprises Trainor has up her sleeve.